Cynde Bloom Lahey began working in a library during high school. 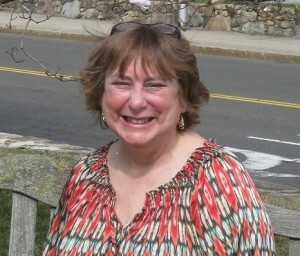 She received a Master’s Degree in Library Science from Southern Connecticut University in 1989 and has been a librarian throughout her professional life. She is now Programming Specialist at the Norwalk Public Library. What changes have you seen in libraries over the last few years? When I first became a librarian, we had a manual circulation system. Technology has changed everything and made things much easier in so many ways. There are myths about libraries no longer being warehouses of books, and librarians will have to find different ways of staying relevant. Historically, libraries have always been a cultural community center for people. Now, because of technology, the roles of libraries have expanded exponentially. Hell would freeze over before I’d do any cooking back then—especially since I lived alone in Manhattan. So I ate out every night. Imagine wearing a vest-like device while reading a book, so that when you come upon a scene brimming with heart-racing tension, the vest emits vibrations to increase your heart rate and compresses your ribcage to convey the tightness felt by the protagonist in the throes of his peril. Sounds like the stuff of science-fiction, but it is not. It was 5:00 PM on a cold winter evening. I’d testified at a Workers’ Compensation hearing and was walking toward my car with an attorney. We were the only two people on a lonely, narrow street. The stores were shuttered. The neighborhood was in a devastated section of Bridgeport, Connecticut. Suddenly, coming from across the street and down the block, we heard the cracks of two shots from a small-caliber pistol. Now he’s the storyteller, enjoying his second career, recalling 42 years of “listening to people’s tales of woe,” and working on his fifth novel. 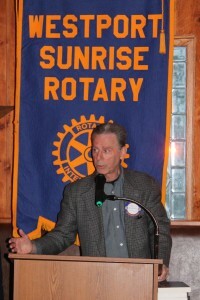 Rubinstein spoke to his audience about his practice, about his genre, thrillers, and about writing. 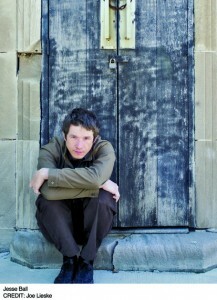 Jesse Ball’s new novel Silence Once Begun has just been released by Pantheon. His three previous novels are The Way Through Doors, Samedi the Deafness, and Curfew. He’s also written several works of verse. He won the 2008 Paris Review Plimpton Prize and is the recipient of a 2014 National Endowment for the Arts Creative Writing Fellowship. He teaches at the Art Institute of Chicago’s MFA Writing Program. Silence Once Begun concerns a Japanese fishing village where eight elderly residents have disappeared. Although he didn’t commit a crime, Oda Sotatsu signs a written confession prepared by Sato Kakuzo. He’s arrested, tried, convicted and sentenced to death, yet remains inexplicably silent throughout this ordeal. The novel is written as a series of transcripts of interviews with those who knew Oda, providing different versions of what may have happened. I admit, I initially picked this book to read thinking it would serve as an “easy” read in-between all the non-fiction on my reading list. I’m a bit of a war fanatic in the sense that I appreciate reading war materials, come from a military family that has served in several wars, and have worked with veterans. Still, I’ve never been in a war. 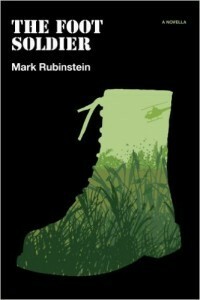 So when I come across something like Mark Rubinstein’s “The Foot Soldier,” where he is able to take the reader inside of a war, inside of a humid jungle full of mosquitoes and predators and booby traps and probably most of all fear, I’m beyond captivated. Though it was a short read–less than an hour–I felt the pain of young Costa every step of the way, especially to the heart-breaking decision at the end. 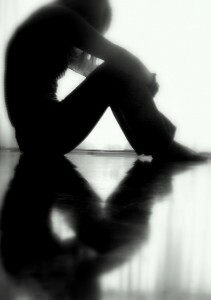 There are choices we have to make in our lives that are so mind-blowing, we can’t even comprehend them at that second. I think no one knows the meaning of that sentence better than the men serving in our forces, the ones who make hard choices every single day. So–was this the best book about war I’ve ever read? No. Was the ending the best it could have been? Not really. But did it grip me emotionally? Absolutely. I nearly choked trying to hold back tears while reading certain passages. My body tensed up subconsciously as I read with a fast pace about Costa’s journey serving “point.”I’m done with the book and my nerves are frayed, my thoughts are scattered, and I’m anything but calm. That’s what makes a good story.